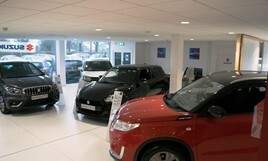 Mangoletsi has opened a Suzuki dealership in Cheshire, the growing brand’s third franchise in the region. The new site is located on the A50 London Road, near Knutsford, and will service customers in South Manchester, Stockport and Macclesfield. Mangoletsi is one of the UK’s longest established privately-owned automotive retailers, which also holds Alfa Romeo, Jeep, Fiat and Abarth franchises. Dale Wyatt, director of Automobile at Suzuki GB PLC, said: “The appointment of Mangoletsi fills the strategic open point of Knutsford for the first time and is well placed to serve motorists in Cheshire, a key market for Suzuki. Fraser Hudson, managing director of Mangoletsi, added: “We are delighted to welcome Suzuki to the Mangoletsi family, and they are an ideal extension to our current brand portfolio.